Hi guys! 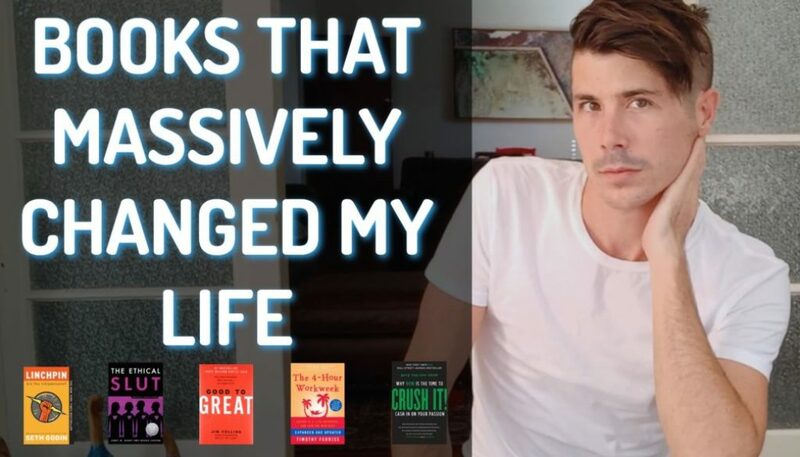 Ryan here from onproperty.com.au, your daily dose of property education and inspiration. And today, we’re going to be talking about commercial real estate and investing in commercial real estate. 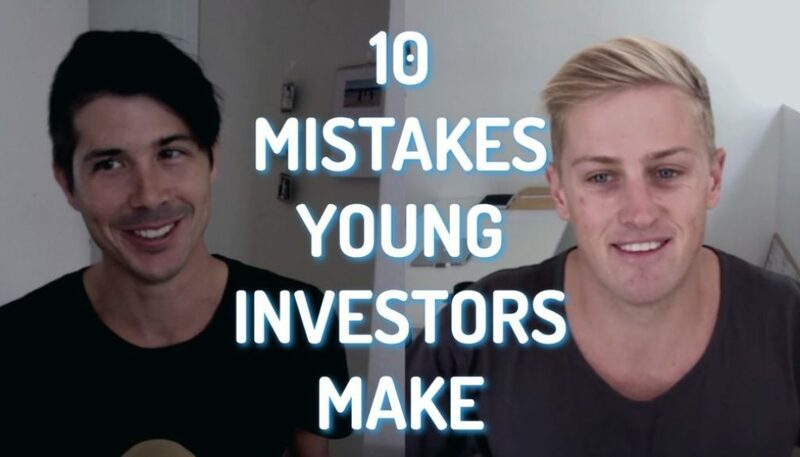 I’m lucky enough to have with me Simon here, who’s the CEO of commercialpropertyguide.com.au. Which is a website that lists commercial property for both sale and for lease and also helps people really understand how commercial properties work. Ryan: So I’m excited to have you today, Simon. Thanks for coming on. Simon: Thanks for having me, Ryan. Ryan: As I was discussing with you, Simon, earlier. You know, I’m a bit of a novice in the commercial space. I know a fair bit about the residential industry in terms of investing in residential property but in terms of commercial, I haven’t really gone down that rabbit hole. So I’m excited to really get down to basics today and to talk about the differences between commercial and residential property. Simon: The advantages of commercial property, generally, is the tenants are generally responsible for all the outgoings, like the insurances and rates. The tenants will more than likely to make improvements to that space and increase the value of the property. And leases are obviously generally longer with an increase of rental every year. And the main consideration is the quality of the tenant. That’s what we sort of look at is, how long is the lease? Is the business stable to receive a good tenant for that particular property? Ryan: So, let’s talk a bit more about those leases. Because in residential leases, you know, they tend to be 6 to 12 months and they are assessed at the end of that 6 to 12 months and either the person stays on or they move on or whatever. How does it work with commercial properties? You’re saying longer leases. How long are we talking and what are the rent increases that you talked about? Simon: Sure. So, generally, the first about the leases can vary from 3 to 10 up to 20 years with the right of renewal after that. Generally, the rental increase is 4%, generally, a year. Or, obviously, depending on what the landlord believes actually it’s worth. But, generally, 4% increase annually. Ryan: Yup. And you said that the tenant actually pays for all the outgoing and expenses. So, are we talking about just improvement to the property or are we talking about things like counsel rates and insurances and stuff like that? Simon: Yeah. Insurances and rates and everything is responsible for the tenant. So, once the landlord has purchased the property, other than the structure, most of it is covered by the actual tenant. Ryan: Okay. 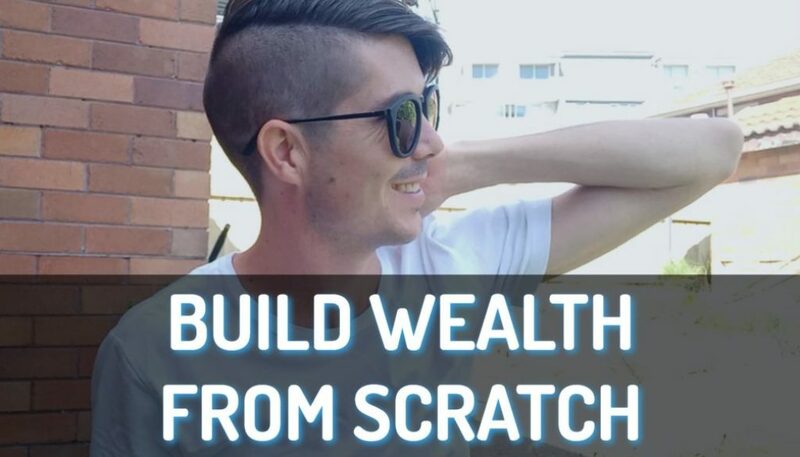 So, I guess that could be very good for someone who’s looking in investing in positive cash flow property because one of the things that’s going to strip your cash flow is all of the expenses that you have with property. I show people, you know, how to analyse the different expenses of a property and we look at rental manager fees, which I’m guessing you’d still have to pay with commercial but things like counsel rates and water and improvements and maintenance on the property. And so for commercial property, you’re saying that a lot of those expenses would actually go to the tenant. So, does that mean that you would have less of a rental yield because the tenant’s responsible for paying those expenses as well? Simon: No. It’s actually the opposite. It’s a higher yield than residential. So, generally, the return on a residential is between what, 3 and 5%? And on an average, it’d be between sort of 5 and 8% for any commercial listing. And, obviously, depending on the property. A metro city office versus a little warehouse out in, you know, outside of the metro area. That’s going to be harder to tenant. The questions before you plunge in to any commercial property investment is, can you afford to service the debt while the property is untenanted? Is it a growth area surrounded with good infrastructure with transport, networks and services? Does it attract the sort of tenant who would stick around for the long term? And does the building suit the tenant that you’re trying to go for? They are really the things that we would advise anyone that when they’re jumping into something like that. Ryan: Okay. 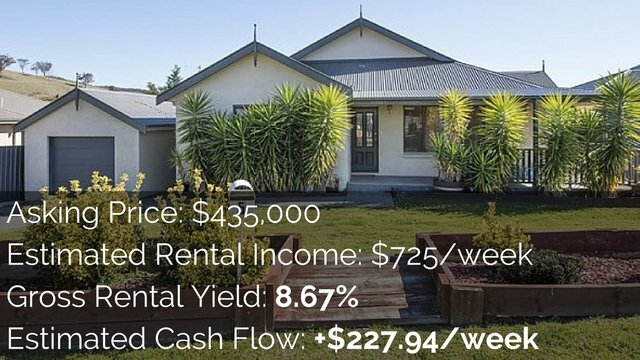 Well, from what I hear, it sounds like a very good kind of asset class for investment in terms of, if you can get a tenant then you’ve got that reliable rental income coming in. You’ve got higher yield and you’ve got less expenses. So what do you think it is that holds people back from actually investing in commercial real estate as opposed to residential real estate? Ryan: Oh! Well, that’s something I didn’t know about. 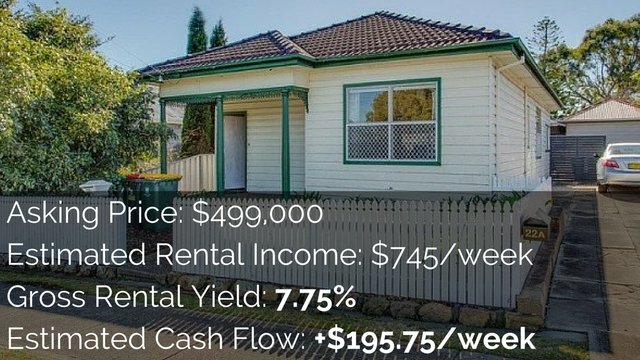 I have had a lot of people ask me, can I actually buy my own house with my super? Because people have this super money saved up. They want to invest in property and they think, well, why not buy my own house? ‘Cause then I can live in it and, you know, just skips over that saving the deposit part. But then, yeah, obviously, seek professional advise but the avenue that you can potentially purchase the property that your business rents is definitely very exciting for those people. So, you said that it’s probably the learning curve that holds people back from investing in commercial real estate. What do you think people need to learn in order to feel comfortable with this asset class as opposed to residential? Simon: Sure. I think just having a look and seeing, obviously, the returns that you can get. I mean, when you look at – a jump on commercial property guide and have a look at the properties in metro offices. Have a look at their yields that they get, returns. Have a look at the price, the outlier price. Generally, if you’re, for an example, down in Victoria in Richmond an office block, a brand new office block. Highly attractive area, you know, brand new offices. Small, 100 square-meter office for $500,000. Where you’ve got great services and everything around. It’s a great entry point for looking at an office. It’s low risk because, obviously, you know that’s an area where all these technology companies and metro and the cafes and things are. It’s a good step for you to have a look and see exactly what’s available. And also have a look at sold and leased area of the site and see exactly what things are selling for so you can work out your own digits. Ryan: Yeah. So, really, I guess, to minimise people’s risk when they’re investing in commercial real estate is to do your research. Which is exactly the same as residential areas is basically, do your research into the area, make sure that there is people in demand in that area that want to rent that type of office space or that type of shop or something like that. Which is not very different to what you do in residential real estate but you’re just looking at regular tenants. And I guess what you said is that people can relate because we all live in a house or a unit and we understand the need for that sort of thing. But when it comes across to business-needing space, it kind of just goes outside of that comfort zone. Simon: Exactly. It’s the fear of the unknown. And I think that once people get educated about anything – once you get more educated about something, you feel more comfortable doing it. And the advantages are, once you do get a tenant, that’s higher yield and bigger returns and, obviously, they’re longer terms. So, once you do get a tenant, you don’t have to worry about that like in the residential lease where it’s 12 months. It’s going to be 3-plus with the right of renewal. Simon: Well, it’s very similar. I mean, you’re bound to that particular lease contract, obviously, you’re bound to either pay that out or find someone to take on that particular lease at that rate for that term. Ryan: So similar to residential in that aspect. And what about finding tenants? Does it tend to be more difficult to find tenants than residential property? Simon: Yeah, it does. Because, obviously, if you’ve got a small 100 square-meter offices, a particular business that you’re trying to attract. You look at the businesses in a office park and it’s a technology-flavoured business park, you want to sort of try and make the right tenant fit within the group of people that are there. It is a lot harder but at the same time – harder than residential – but at the same time if it’s the right property, it shouldn’t take too long. The joy of new is always good, everyone’s looking for a brand new office. The size, the car parking all those sorts of things are very important when you’ve got a medium team. Ryan: Okay. So that’s a whole different thing that I would need to learn about is what exactly makes a desirable office space or what exactly makes a desirable commercial property so that you can make sure that your property is rented. And if something does happen to your tenant, that you can get that rented more quickly. Do you have any idea of vacancy rates or the time it takes to lease a property or does it just vary so much that you can’t really say? Simon: It varies depending on property. But, I mean, for an example of, you know, an office in the city, basically we would say – most of our inquiries across the eastern seaboard are inner city offices between 100 and 200 square-meters – on average, depending on the suburb, it can take from 3 months to 6 to 12 months, basically. It’s very dependent on the style of property. Ryan: Yeah. So, I guess, in terms of someone who is investing in this property, they could potentially – if the property is not rented – they would need to factor in a vacancy period at the beginning because it may take 3 months or 6 months or 12 months to lease the property. But then, you’ve got the added benefit of once you do get it leased, then you’ve got a consistent income. Simon: You get it returned. Exactly. Ryan: Yeah, and you’ve got that 4% increase every year as well. Simon: Yeah, exactly. Generally, the rate increases, they’re usually at CPI or at 4% the annual rate, depending on what’s greater. Ryan: And then, what happens with rental increases, like in Sydney at the moment. Obviously, Sydney’s going through a massive boom in the last year with double-digit growth, and it’s grown significantly. Does that adjust rents because, obviously, the value of property has gone up or is it just in-rate with inflation, or that 4%? Simon: It’s generally in-rate with inflation. I mean, you can’t go higher than 10% from the annual rate and generally, it’s CPI’s, they’re all 4% is the industry standard. But it does vary. I mean, you know, people do try to get more. Ryan: And that’s up to what? Do you negotiate that at the start of the contract or can you negotiate it mid-contract? Simon: No, it’s start of the contract. If it’s a 3 plus 3, which is generally a standard sort of a lease term for a small office. You would put those rent increases in the initial contract in the beginning. Ryan: And what do you mean by 3 plus 3? Sorry. Simon: So, 3 plus 3 means you’ve got a 3-year lease and at the end of that term, you have the option to renew that to another 3-year lease if you wish. So, if someone wanted that particular office, you’ve got the first right of renewal before it goes back on the market. Ryan: Okay. So, that’s for the business who’s renting from you. They can get another 3-year lease from you. So you can’t just kick them out and get someone else in. They have the first chance to re-lease that property from you. Simon: Yeah. It is a renewal of a lease. Depending on the case by case. Generally, at the end of that 3-year, if you, as a landlord is unhappy, then obviously, that’s the break of the lease. At that point you can move them on. Ryan: Okay. So, we’ve talked about some of the differences between residential and commercial. And I think I’ve got my head around it, you know, you’re generally going to need a larger deposit. Rental yields tend to be higher for commercial properties. You’ve got expenses are paid by the tenant themselves. You’ve got longer leases with increases annually throughout that lease. And then, you’ve also got potentially longer vacancy rates in order to get someone in but once they are in, it’s going to be more consistent for you. Is there anything – we were going to talk about what are the advantages. But basically, all of those things except the longer period of vacancy rate are the advantages of investing in commercial property. It seems to make a lot of sense to me. I guess, people would need a larger deposit in order to get into it. 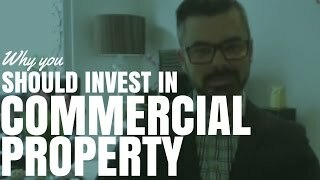 So, is there anything that we’ve missed that people should know about investing in commercial property? Simon: The biggest thing is – one of the disadvantages, I would say, would be that typically they have low capital growth. Obviously, because the building, which will depreciate, takes up most of the land so you’re not going to get as much capital growth as you would in a residential home in a good area. But because of that, obviously, the higher return balances that out. So that’s probably one of the factors. 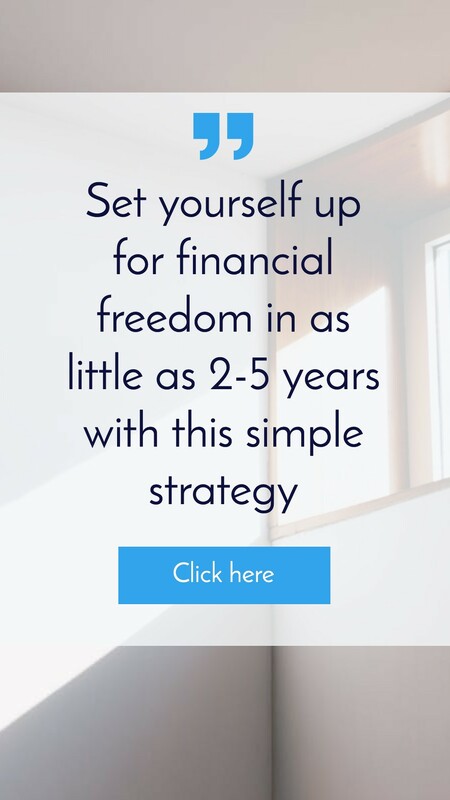 I always say, we’ve got to take the bulk of the bad news you’ve got to know everything about the situation before you leap and plunge in to this investment. Ryan: Yeah, totally. And that’s something that I try and tell people over and over again is do your research, do your research, do your research. And find out about the area, find out about the property, find out about who wants to rent those properties and that’s very similar to commercial property. And so, look, I’m going to close off there because I think that we’ve covered a great deal of exactly what is commercial property and that’s really what I wanted to get my head around and explain to people, what commercial property is. So, if anyone wants to check out more about commercial property, then head over to Simon’s website at commercialpropertyguide.com.au. He not only has property listings over there, which you can look through and see the rental yields and stuff like that, but he also has content over there that’s going to help you understand more about commercial property in general. Thank you so much for your time, Simon. And hopefully I’ll talk to you soon. Simon: Yup. Thanks for having me.